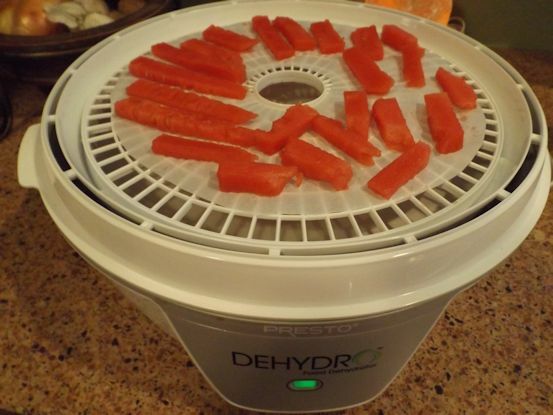 I do love my dehydrator. Today I dried some peaches and watermelon. They are great for snacking since I added no extra sugar. I like to pack the peach chips in my lunch as I have made them many times before, however, this is my first try at making watermelon stix. They were very good, too. 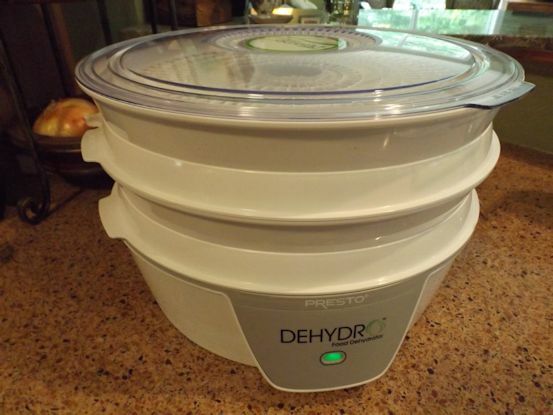 My dehydrator is just a home machine. There are bigger ones out there but this one has worked beautifully. It is easy to clean. The brand is Presto Dehydro. I bought it at Walmart. The photo makes it look a little stretched out, but for storage the trays nest down inside each other and the size becomes practically the same as the base. 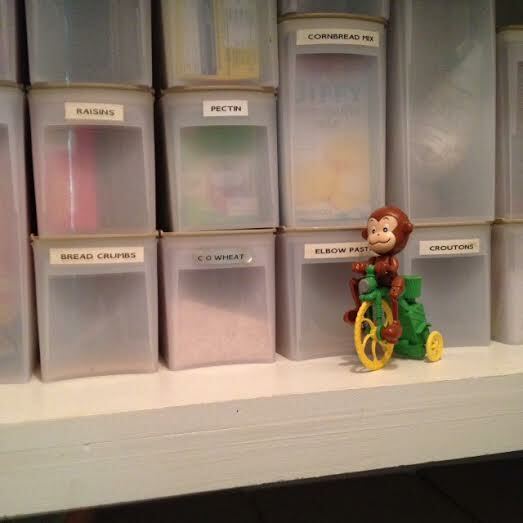 I keep it in my pantry and the pantry monkey guards it. 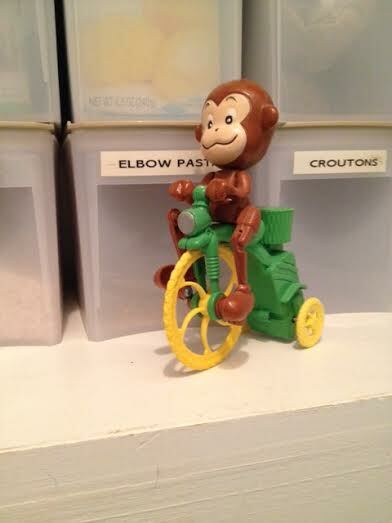 He’s a plucky fellow. Enjoys his job immensely. 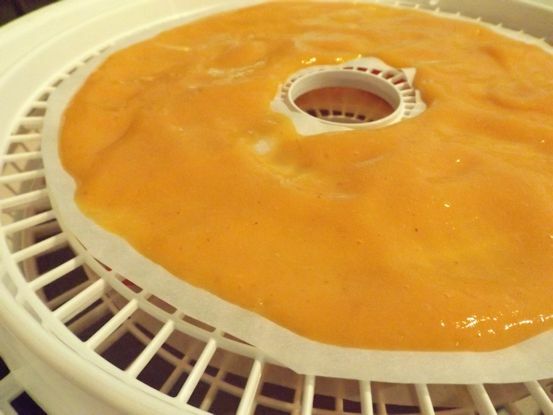 To make the the peach chips, you simply peel, pit, and blend peaches so you will end up with 4 cups of puree. 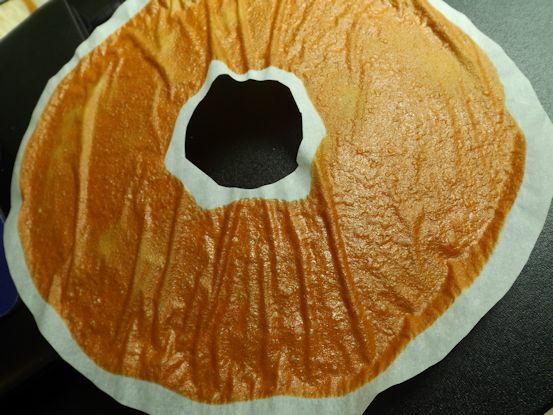 I make parchment paper liners to go on top of my dehydrator racks. 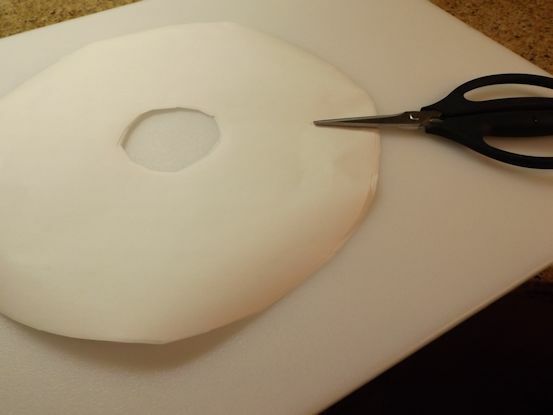 Use a spoon to smooth out approximately one cup of puree per shelf. 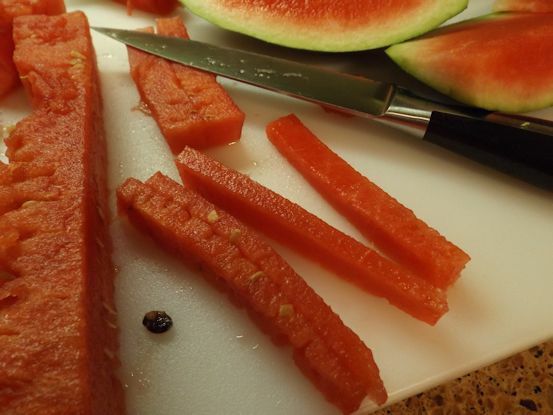 To make the watermelon stix, cut watermelon in french fry sized pieces. 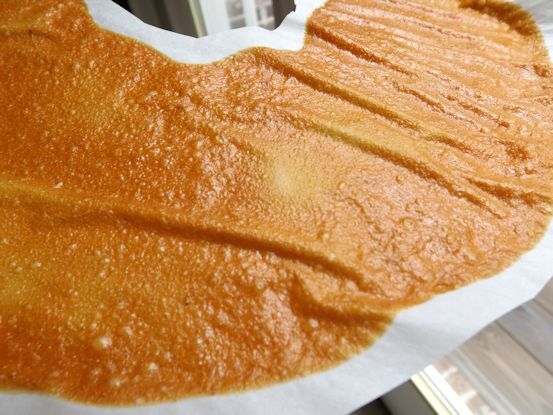 Arrange on the parchment paper lined trays and dehydrate. I dried these for about 5 hours. 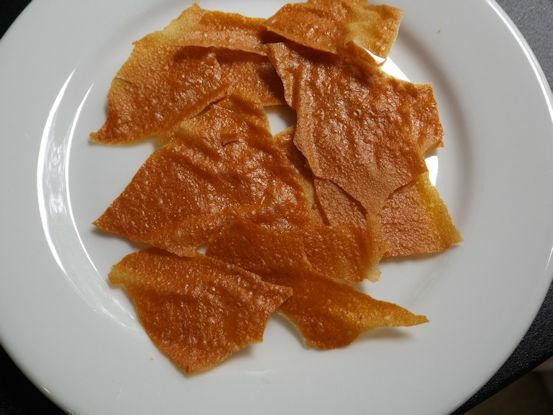 You can stop the drying sooner if you want softer fruit or continue for crispier treats. When they come out, they look like this. I fold the sheets in half and store them with the fruit on them in gallon sized ziploc bags. Snack time. 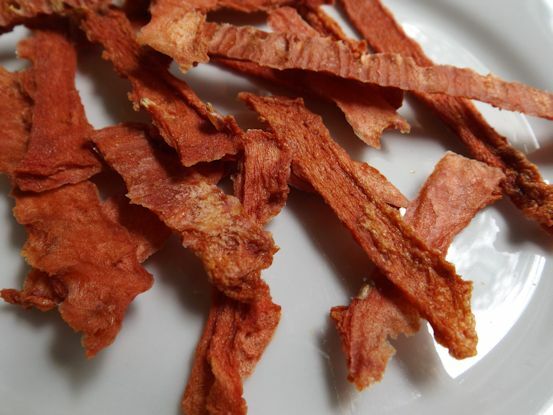 These are the peach chips. They will keep quite a while (several weeks) if you can keep the moisture out of them. We usually eat them in a few days. The watermelon looks like bacon. I’ve tried drying applesauce, blueberry puree, and strawberry puree, but I like the texture and taste of the peaches and watermelon best. Next I want to try tomato slices with basil or Italian seasoning on them. I think those would be good combinations for snacking, too. I would try it today but I am out of tomatoes for the first time this summer. I guess we are heading into Fall in a hurry.